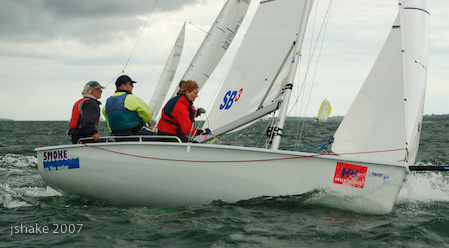 Garret and Niamh joined me for the run to Bangor last weekend for the SB3 Northerns, hosted by the Royal Ulster Yacht Club. There were 22 boats on the line for seven races in very shifty conditions. We didn’t do particularly well, but had great good fun. A notable leeward mark rounding in one race gained us five places from DFL, and a correct choice of the left leeward gate mark in the last race also pushed us up the field. 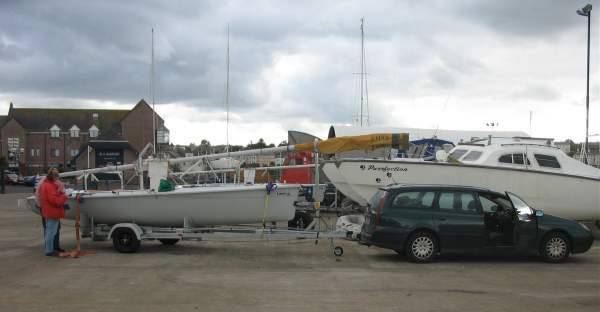 The event was hosted by the Royal Ulster Yacht Club.